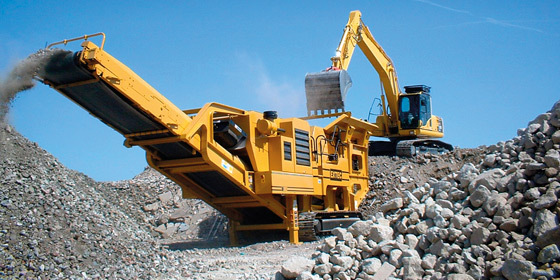 The crushing and screening machines are heavily used on the construction sites for different projects where various hard materials need to be crushed into smaller parts. Although highly efficient, the crushing and screening machines can be extremely dangerous if not operated properly. That’s why every construction company needs to implement specific safety regulations that need to be followed by the operators and every worker who performs specific tasks near the crushing and screening machines. These safety regulations are needed in order to prevent serious accidents and injuries. The crushing and screening operations can lead to serious accidents, especially when appropriate protective clothing and equipment is not used. Often, the workers want to take shortcuts and don’t follow the rules. When this happens, they are at great risk of being crushed by some parts of the crushing and screening equipment. Serious accidents happen also when the workers remove their protective clothing and try to repair some broken parts. A single uncontrolled movement of the crushing or screening machine can lead to serious injuries even death. The reports show that most accidents happen when the workers try to repair the machine while it is still operating. This is the most dangerous repair practice and should never be performed unless the crushing and screening equipment is turned off. There must be specific procedure for these situations, and everyone who use the crushing and screening equipment must be aware of this safety procedure. Another major concern when crushing and screening equipment is being used, is when the protective guard of the machine is not in place or is broken. This puts the workers at great risk of being hit by the machine moveable parts. The risk is higher when the workers fail to obey the safety rules as stated. Because of that, appropriate training is necessary in order the workers to learn how to use protective equipment, and what to do in a case of a machine breakdown or other major defect. It is very important for the workers to avoid using flowing and loose protective clothing that can be easily caught by the machine movable parts. It is recommended for every construction company that use crushing and screening equipment to develop and to implement risk assessment plan in order to identify what can possibly go wrong on time. This risk assessment plan and all other safety procedures are very helpful for controlling all identified risks and dangers.